First I’d like to say thanks again for coming on the blog. Thanks for having me, Kevin. I’m honored that you reached out to me for this interview. Now for readers that don’t know your work, tell us a little bit about “The Forever Girl” series. The Forever Girl series ultimately follows the journeys of five women with paranormal abilities that are destined to come together and put an end to a supernatural council with nefarious plans for the human race. Currently, The Forever Girl (the first book in the series) is available for purchase (and optioned for film), while book 2 is in the final stages of edits and under consideration by several publishers for publication. Book three is plotted but on hold temporarily as life is a bit hectic right now and I like to be able to focus completely on a book when I’m writing. I plan to start this summer (yikes–it’s technically summer now, isn’t it?). The Forever Girl: When a spell Sophia casts goes wrong, her personal demons get company, and the newcomers are dangerous. One of them is a man named Charles, who Sophia falls for despite her better judgment. He has connections that might help her unveil the mystery surrounding her ancestor’s hanging, but she gets more than she bargains for when she finally decides to trust him. Come, the Dark: As Rose attempts to save her newborn daughter, Anna, from both her father and the dark spirits that haunt her life, she is thrust from Georgia, 1962, into the era of Salem’s infamous witch trials, leaving her daughter hopelessly out of reach. She needs to find her way back to her daughter . . . but going back isn’t an option. Not until she faces certain death to banish the dark spirits that plague Salem. Even if she can complete the task in time to return home to save her daughter, there’s still one problem: she’s falling in love with a man who can’t return with her. The series will have 7 books in all and perhaps a few free/cheap novellas. 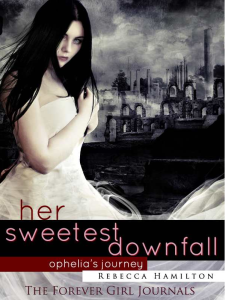 The prequel for the series, Her Sweetest Downfall, is free on Amazon. You can learn more about the series at the official series website. What drew you to write in the paranormal genre? I just have a huge soft spot for the genre! I adore books that have paranormal elements–could be mystery, romance, horror, even literary fiction; when there’s a paranormal slant, I just get really into it! For example, I adored the Virgin of Small Plains by Nancy Pickard, which isn’t really a paranormal fiction novel, but the paranormal slant just made the book more engrossing for me. Right now I’m working on a steampunk novella series, but already it’s turning more into a slightly post-steampunk era story with paranormal elements. I can’t resist. What kind of promotions did you do for your book when it first came out–blog tours, giveaways, etc? EVERYTHING. You know, until I burned out. But yes, I did blog tours, giveaways, utilized social media, bought advertising (not sure how effective that was to be honest). I sorta figured I would try everything and surely SOMETHING would work. But eventually, I lost steam, and I realized that I needed to cut back on marketing and make some time for writing. It’s definitely a bit harder losing that income for my family, especially during times where we could really use it, BUT I am trying to look at the long term picture. More books need to be written, so that’s what I’m focusing on now, and I use my PR and editing services to supplement our income in the meantime. My advice to new authors would be by all means, go all out, but make sure you get back to writing quickly. Always make time for it. “The Forever Girl” has 385 reviews currently. What was your approach to getting reviews, and what advice would you give other authors that are struggling to get reviews for their books? Ask 🙂 I tried different approached with The Forever Girl and with Her Sweetest Downfall. With The Forever Girl, I *personally* (one email at a time) gifted people copies of The Forever Girl in exchange for a review. My return rate on these copies was much higher than with the approach I took with Her Sweetest Downfall (giving away mass numbers via kindle free days before making it permafree) So I gave away 20,000 copies of Her Sweetest Downfall, but it only received 74 reviews, and many of those are still from the ones I gave out manually. Whereas with The Forever Girl, I sold 10,000 copies and gave away 1,000 copies or so, and I have over 300 reviews. I can’t say for sure, as correlation does not equate to causation, but I do think that giving copies out personally is the way to do. Also, whenever someone posts a nice review to me, I reach out to them to see if they are interested in a free gift, such as a forever girl ring or bookmark. I see you have a street team. Both mailing lists and street teams are huge in the indie world. What kind of tactics did you use to build it, and how have you gone about building your street team and mailing list in general? As for building the list, I usually include a my website with a sign up option, a space on my facebook page for a sign up option,m periodically tweet about my mailing list with a link to join, and participate in giveaways such as the ones at http://www.freekindlegiveaway.com/ (which I own and run). The giveaways are the most effective, as I tend to get around 100 or more new sign ups from each giveaway I do there. The rest of the sign ups sneak in at about 10 per month from the tweets and cover reveals. You have a permafree companion novella to “The Forever Girl” out. How is permafree working for you, would you recommend it, and has it been effective not only in moving copies of “The Forever Girl” but of building up your mailing list as well? Permafree has done nothing for me 🙂 I know it works for others, though. I’m okay with this, because my reason for making Her Sweetest Downfall permafree wasn’t to sell more copies; it was to give a gift to fans of The Forever Girl series. You have an incredible Twitter following at just over 103,000 followers. I know a lot of authors are baffled by social media. How did you get so many followers, and what advice would you give fellow authors looking to build a following? Connect with people! That is what social media is all about. I always reply to my @mentions. I also surf twitter regularly and follow people with similar interests. Sometimes it sparks a conversations and a last friendship. Some of my closest friends were found on twitter this way. The only thing I will say is, it’s time-consuming. A lot of authors feel overwhelmed. A few of my clients just have me doing it for them (I spend about 1 day every week doing nothing but managing twitter for my clients). I don’t do it as often for myself anymore because I’m so busy, but if you can work on your twitter account daily, it’s fairly easy to make lots of great new connections! I see you have two different websites http://beccahamiltonbooks.com/ and http://www.paranormalfantasybooks.com/ What is the strategy behind that? 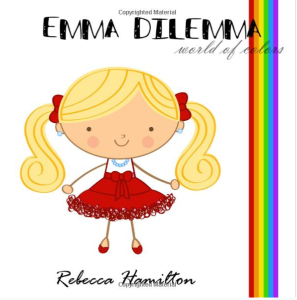 Becca Hamilton Books is my blog. I talk about ALL my books there and also about books I have read and enjoyed or books I am promoting. I talk about off topic issues, too. It’s sort of my “catch all” corner of the internet. Paranormal Fantasy Books, however, is my landing page for all my paranormal fantasy books — just a place to stop by for the latest news and to learn where to buy my books 🙂 It’s also a keyword friendly site, having my genre as part of the URL. I also have The Forever Girl website which is specially for The Forever Girl series. I’m not sure all those sites are really necessary, to be honest, but I like having it. I suppose it makes my websites 3x more likely to be stumbled upon than if I just had one website. And each websites does have all the basics, so no matter where a fan lands, they can probably find what they are looking for rather easily. I do want to expand TFG website eventually to include some bonus content. You are represented by Rossano Trenton. What made you decide to sign with an agency? I freaking ADORE Rossano. We just hit it off from the get go. I think he’s my biggest fan. He knows how to make me feel special, like I’m the only one that matters (even though I know he probably does that with all his amazing clients). And he earns every penny he makes selling my books. He has created opportunities for me and my books that I never could have even dreamed of. Because of him, The Forever Girl is with big mainstream publishers in Hungary and Germany and under consideration with several big publishers in the US as well. Because of him, we sold the film rights to The Forever Girl to a very accomplished producer. I guess why I decided to sign with him was that we had a good connection off the bat. He believed in me and I believed in him. We make a great team. Forever Girl ended up getting optioned for a film. How did that deal come about, and what is the progress on the movie? A producer spotted it online and contacted my agent, who has experience with book-to-film deals, and it was all just a dream from there. I went to L.A. and met the producer (with my husband) and we went to dinner together and to a concert. It was a lovely time. We signed the contract shortly after that. My hands are sorta tied in how much I can say, but I will say that the writers who have been presented it to write as a screenplay so far have been the cream of the crop and all very positive with their feedback. I’m supposed to find out more this month (we’ll see) but I’m particularly excited about who is considering the title now. She’s a freaking genius of a screenplay writer and I’m actually a huge fan. Only time will tell. It’s my understanding that this process can sometimes take years, but I know my “team” is working hard to make it happen. I see that you have a German translation of your Forever girl book. How is that doing, what was the process in getting your book translated, and do you have plans to get the book translated into other languages? I absolutely ADORE my German publishers! They are an imprint of Harlequin (Mira – Darkiss) and they did such a fantastic job translating and preparing my book and promoting it! I am not sure yet how sales are going in that regard, but I do see a few sales happening on amazon.de each week. Nothing epic, but hopefully it will gain traction and they will take on book 2 (I use google translate to read the reviews and it appears there is some interest at least). The book was also translated and published through Konvytunder in Hungary 🙂 I guess they don’t use amazon, though. Both publishers gave me a fair advance and I was very happy with it, especially coming from other countries! We have some interst in France and Italy and Brazil, but no movement there yet. I’m totally open for having my book translated and published by any publishers that are interested 🙂 I have considered having a friend translate the book into Spanish for me, but for now I’m waiting that out. You currently run multi author cross promotions every month. How can other authors get involved if they’re interested? Oh sure 🙂 Just hop on over to FreeKindleGiveaway.com for details and the opportunity to sign up! But the gist of it, all authors pay $10 per spot on the raffle. The money is used to run the website and use paid promotional tools such as giveaway promote and also to compensate the people who run it (which right now is mostly me–but before you think I make a killing, after expenses, I’m making way under minimum wage for all the hours I put into this). But it helps other authors, so I don’t mind. I like seeing how happy authors get about their results! It helps them to build facebook and twitter pages, mailing lists, and sometimes even grabs them a few sales! Book 3 of The Forever Girl series, a paranormal steampunk novella series, and a literary fiction novel about a girl with autism from the 1940’s to present day and how her life affected those around her. Finally, what advice would you give to struggling and/or up and coming writers? Never stop trying, and always try to give as much as you take. It’s the best way to build lasting connections! Learn your craft and don’t underestimate the importance of a quality product (well-written, well-edited, and a nice cover and formatting). Also, don’t stress over the online stuff. If someone wants to critique your grammar or spelling on a facebook post, just tell them you’re happy to edit it if they are planning on buying it. Reality is, if we want to have time for marketing and writing and editing the books we plan to SELL, we can’t obsess over every thing we say. Plus, it’s real. Be real. Be open. Your fans will appreciate it. Loved this interview :) Thank you for this incredible insight and encouragement both of you!